I am very happy about our new very interesting research connection: Dr. André Weinreich, Head of Research & Science from emolyzr (DE) is joining our Movie Pulse research group. He is a psychologist and dedicated researcher of emotions. 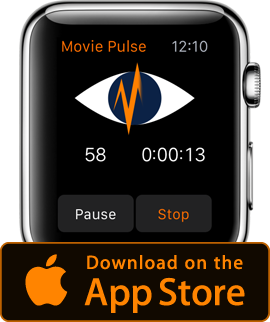 His particular interest to join is the supposed ability to find emotionial patterns in peoples reactions, while watching movies – with the help of our app. This would be a breakthrough, because the app frees the research process from the need of a lab (within the limits of data which can beachieved with a wearable, of course). You can find more about their very sophisticated approach if you watch the videos of this company, which has been founded by the Humboldt University, Berlin. We will continue to analyze already recorded data, as well as we will run new screenings. I am especially keen to see the results of “Awakenings” 1990 by Penny Marshall – one of the most emotionial movies I’ve ever seen.